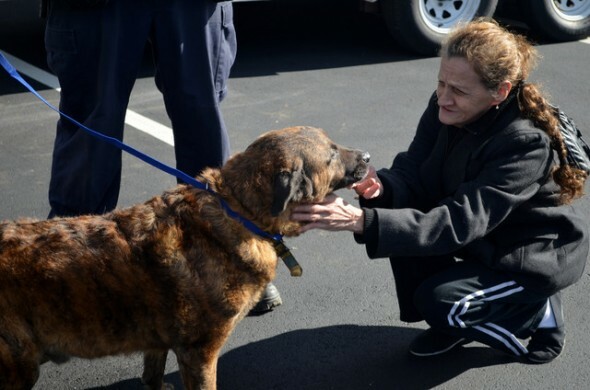 Working in conjunction with New York City officials, The Humane Society of the U.S. has a rescue team going from house to house in Staten Island and other hard hit areas to rescue dogs, cats and even snakes that got trapped inside homes or simply got loose during the chaos of the storm. Some of the found pets are being reunited with their now homeless owners as part of a unique New York City policy that allows pets to join their families in shelters. The team has had great success in finding many dogs and cats, but did decline a call to rescue a shark stranded in an inland pond! Read more here. This entry was posted on Tuesday, November 6th, 2012 at 4:58 PM. It is filed under Blog. You can follow any responses to this entry through the RSS 2.0 feed.